As we have received numerous suggestions on this subject from the community and because of the current market liquidity situation, we’re proposing a vote on the new OBITS buyback and distribution policy. In October 2018 and every month from then on, we will gather assets from the dedicated profit centers (vesting fees, market fees, and so on) in native assets, as we did before. The voting starts on September 5th, 2018. The voting runs until October 1st, 2018, 13:00 CET. 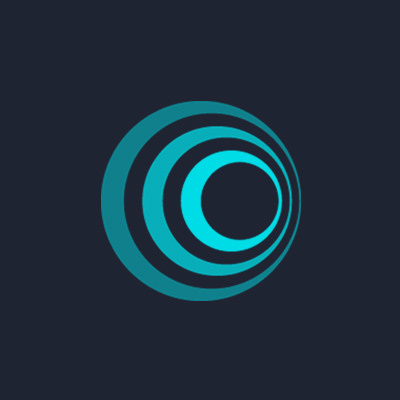 * OpenLedger will create a new voting asset, the OBITS.VOTING token, in the amount of OBITS supply shown in the snapshot. * On September 5th, every OBITS token holder will receive an incoming payment of OBITS.VOTING tokens, matching the number of OBITS they own. In the memo field, you will find the conditions of the voting procedure. obits.option1 – if you wish to accept the above-mentioned Market Maker Buyback proposal. obits.option2 – if you wish to leave the current procedures as is. * On October 1st, 2018 13:00 CET we will take the snapshot of the voting options accounts and define a winner. * The Market Maker Buyback Proposal will be implemented according to the results of the voting. Please check your OpenLedger account on September 5th and vote to define the OBITS future! Learn more about this Proposal and the voting process on the official OBITS website. 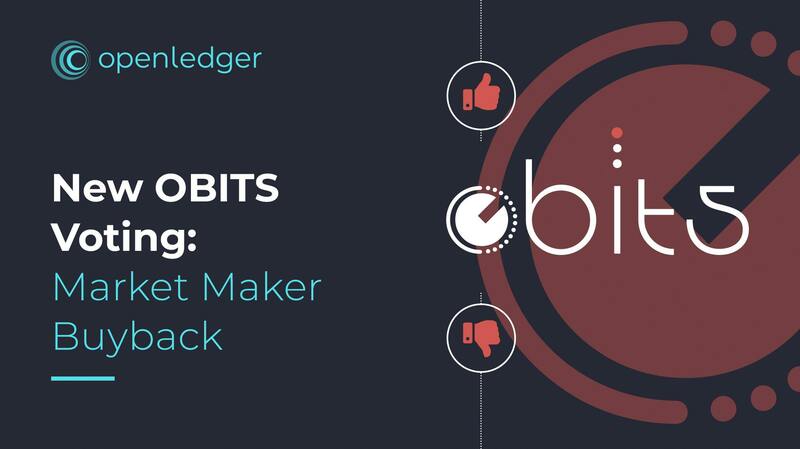 Have ideas for improving our Market Maker proposal to bring more value to the OBITS token? We would be happy to look into any opinions! Please shoot your suggestions to [email protected] before September 4th, 2018. This September, OpenLedger will head to the Netherlands to attend Bitfest Amsterdam, an international conference for Graphene, BitShares, and Blockchain enthusiasts. Amsterdam will host the three-day event that will take place on September 21-23, 2018. Participants from all over the world will flock to Bitfest to learn, share, network and collaborate. Inspiring speakers, lively panel discussions, delicious food, great networking opportunities, and engaging excursions – that’s all will deliver a truly outstanding experience to all event attendees. Ronny Boesing, OpenLedger’s CEO and Founder, will speak at the conference and [ur=https://www.linkedin.com/in/yury-cherniawsky/l]Yury Cherniawsky[/url], OpenLedger’s VP of Business Development, will take part in panel discussions. Haven’t bought a ticket to Bitfest yet? Use the promotional code OPENLEDGERDISCOUNT and save 15% on your Saturday Conference Ticket. Note: the code is valid from August 30 to September 5, inclusive. 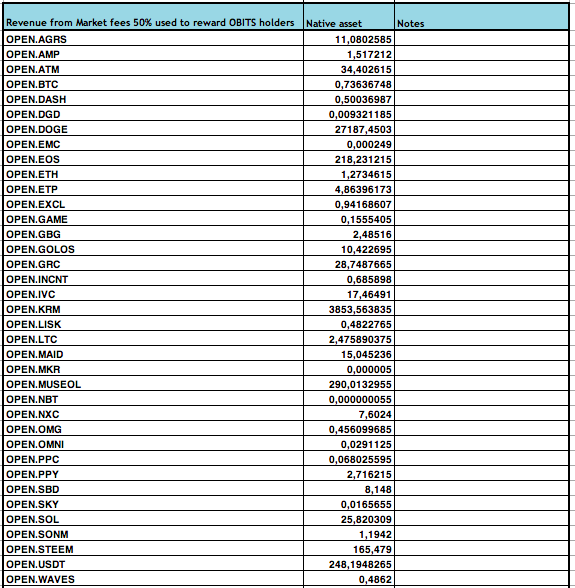 The BuyBack on September 5 with the following burn of 38 706 OBITS executed. Congrats! Total amount of OBITS burned on September, 5 2018 was 38,706 OBITS. September ICOO Sharedrop: 0.22 BTC sharedropped onto all ICOO holders. The Market Maker Buyback Proposal voting started on September 5th, 2018. Please vote for the future of OBITS today! The voting runs until October 1st, 2018, 13:00 CET. Please learn about the Market Maker Buyback Proposal in the previous post or on the official OBITS website. *We took a snapshot of OBITS holders accounts on 15:00 CET, September 4th, 2018. 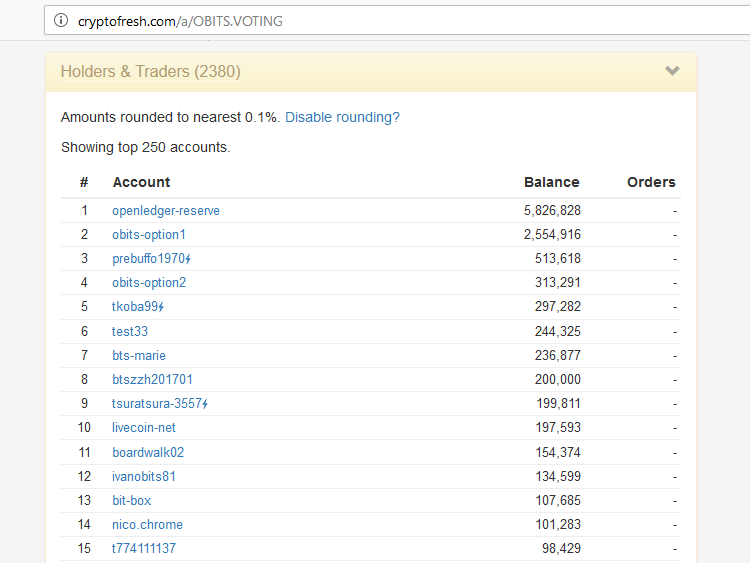 * OpenLedger created a new voting asset, the OBITS.VOTING token, in the amount of OBITS supply shown in the snapshot. * On September 5th, every OBITS token holder received an incoming payment of OBITS.VOTING tokens, matching the number of OBITS they own. In the memo field, you will find the conditions of the voting procedure. *On October 1st, 2018 13:00 CET we will take the snapshot of the voting options accounts and define a winner. The Market Maker Buyback Proposal will be implemented according to the results of the voting. Please check your OpenLedger account and vote to define the OBITS future! This September, OpenLedger will join 1,500 startups, over 250 investors and more than 4,000 attendees at Copenhagen’s TechBBQ in Øksnehallen. Our CEO, Ronny Boesing, will be there, as will business development manager Martin Crillesen and event manager Desiree Falter. Copenhagen’s Øksnehallen will play host to a two-day international tech startup summit, for and by the startup community. Participants from across the world will come to speak, hear, and network with startups, Nordic and European VCs and angel investors, and potential customers. Startups in attendance won’t be restricted to blockchain either: there are AI, IoT, fintech, cleantech and 3D printing startups among the 1000+ founders out on the floor and on the event’s four stages. Ronny, Martin and Desiree are excited to meet fellow startups, as well as investors and participants, and introduce the ideas behind OpenLedger to new people. Haven’t bought a ticket to TechBBQ yet? You can use the promotional code ‘OpenLedger’ here and save 30% on your ticket price. Note: the code is valid to September 10, inclusive. In July, we have announced OpenLedger rebranding and the list of activities we have been planning regarding this change. Today, the team presents a new OpenLedger website. 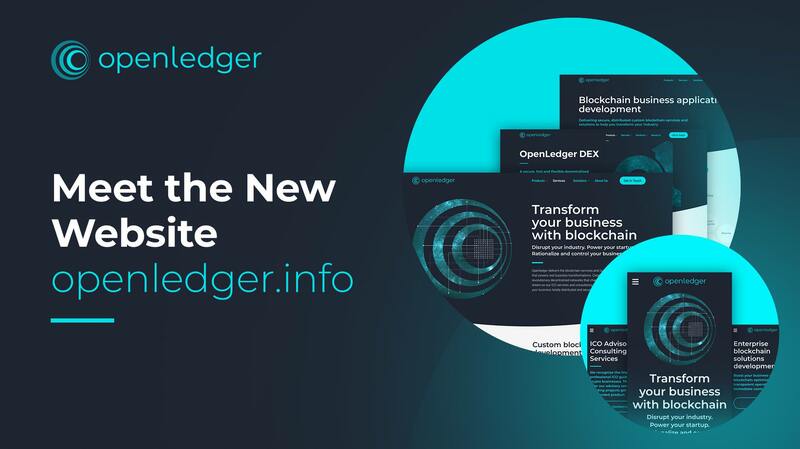 Openledger.info has been revamped completely: the look-and-feel has been changed to comply with the new brand identity. What is more, the content now clearly represents who we are and what we do as a company, plus we made sure we’re showcasing our projects, products and services in a clear and compelling way. This fall, we’re planning to create an insights platform with the latest expert information about the blockchain world. Stay tuned! What do you think about the latest changes introduced on the Openledger website? Please let us know in the comments below. Our team developed the prototype, tested it, and realized that the market had significantly changed. We want this project to bring value to the BitShares community by providing a new and in-demand service to attract more people to BitShares. That’s why we are working on rebuilding one of the platform’s core features, removing the unnecessary functionality, and providing users with a more sophisticated solution. It means that the GetGame platform will not be launched in the nearest future, as the development process has changed its direction. As some of the REALITY tokens were sold to the market, we’re convinced it’s necessary to inform our investors about the changes and to provide them with the options to stay in the project, or to leave. For those investors who don’t agree with the changes announced above and choose to quit the project, we’re offering a buyback opportunity. OpenLedger will be placing REALITY buyback orders from the getgame account. The orders will be based on the price of 0,6667 BitUSD for 1 REALITY, which was the initial price of the token. The amount of BitUSD to be placed in each order will be determined by OpenLedger, as well as the day of the order placement. On September, 20th, we will place the first buyback order. The following orders will be placed without any preliminary announcements, to prevent the speculation. 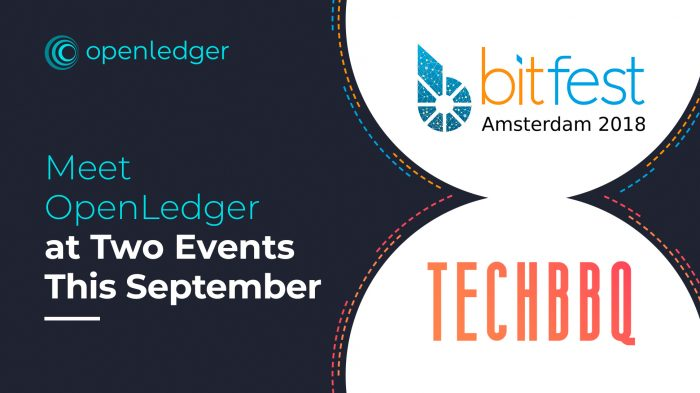 This month, OpenLedger will visit two events — BitFest Amsterdam and TechBBQ. Come to Bitfest this week to listen to the speech of our CEO and Founder, Ronny Boesing, about OpenLedger’s news and incoming projects. Yury Cherniawsky, OpenLedger’s VP of Business Development, will also be there to participate in panel discussions. You can also meet our reps at TechBBQ that will take place on September 24-25. Our CEO, Business Development Manager Martin Crillesen and Events Manager Desiree Falter will head to Copenhagen next week. At the event, they will join 1,500 startups, over 250 investors and more than 4,000 attendees from all over the world. 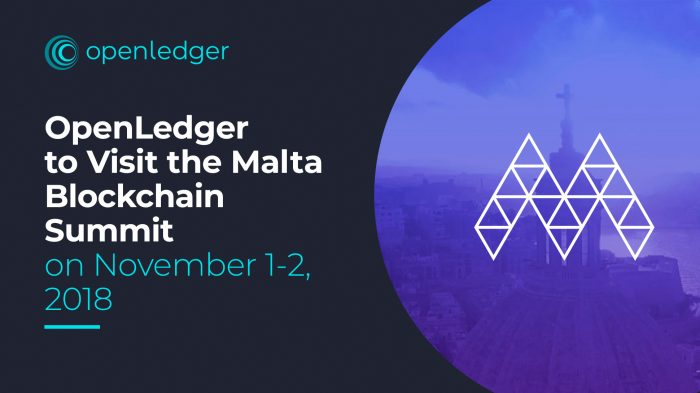 OpenLedger is excited to announce that the company is going to visit the Malta Blockchain Summit on November 1-2, 2018. 5,000 delegates will come to Malta to see numerous exhibitors, participate in fascinating discussions about the world-changing potential applications of blockchain, listen to ICO pitches, and attend the blockchain hackathon together with hundreds of investors. OpenLedger’s CEO, Ronny Boesing, as well as VP Business Development Yury Cherniawsky and VP Sales Alex Timoshenko will represent the company at the event. Feel free to schedule a face-to-face meeting with our reps or just come by to say hello. Haven’t purchased a ticket to the Summit yet? Attend it for free with OpenLedger! To request a free ticket, write a short note describing why you would like to visit the event and speak to OpenLedger’s executives and send it to [email protected] Hurry up! There are only 10 tickets left. OpenLedger DEX Team is announcing the general availability of OpenLedger DEX mobile wallets for iOS and Android. The apps were released to make your OL DEX experience even more convenient and scalable. Use the free mobile app and sign in to your existing crypto wallet. 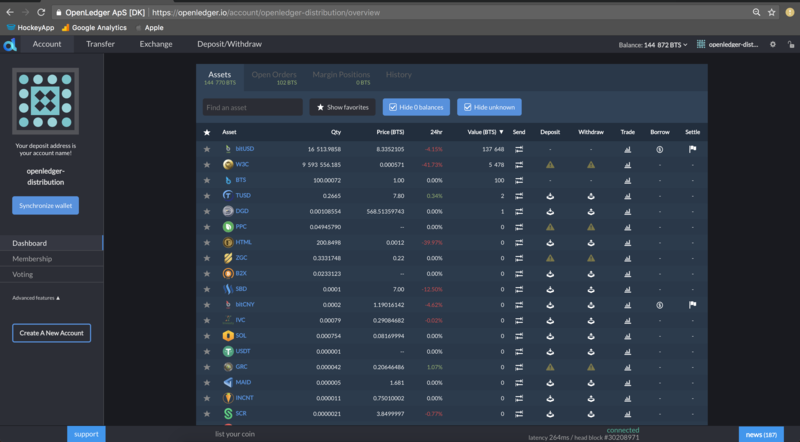 Instantly control and manage your OpenLedger DEX account: securely check your balance, the latest transactions history and details for your account. 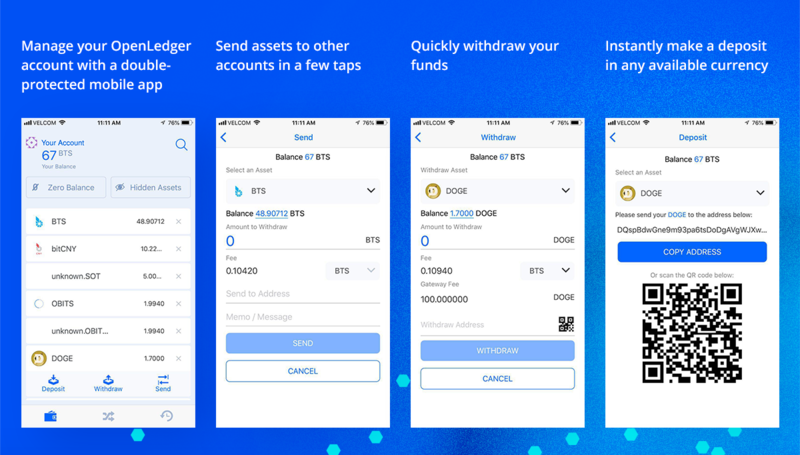 Send BTS, BTC, ETH and 50+ other assets on the go. Log in with a PIN or the fingerprints authentication. Synchronize your app with the OpenLedger account for additional safety. All interactions with your private key will be locally performed on your mobile device, and we will never have access to your private key. Please vote for the future of OBITS now! The voting runs until October 1st, 2018, 13:00 CET. Only two days are left before we close the voting and define the results. 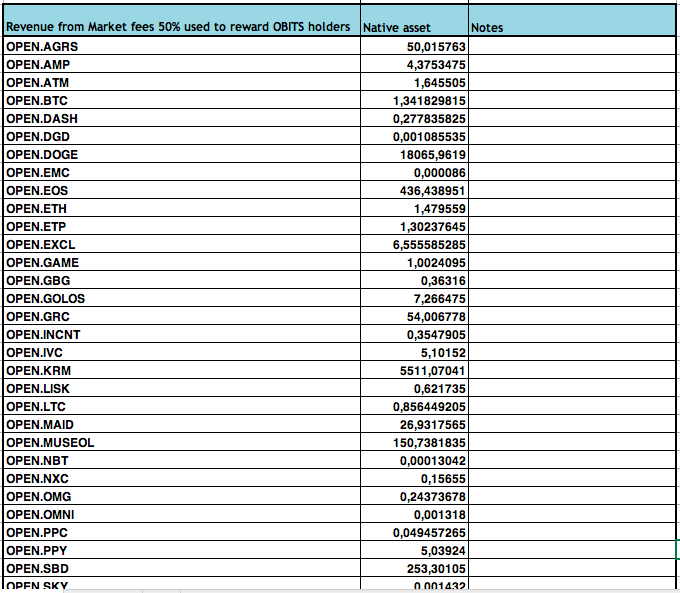 * We took a snapshot of OBITS holders accounts on 15:00 CET, September 4th, 2018. 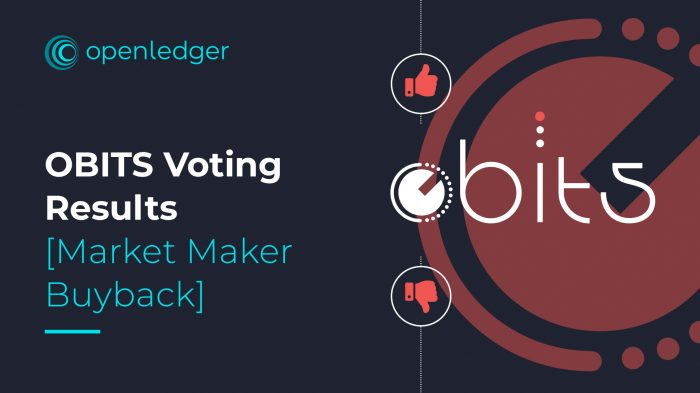 *OpenLedger created a new voting asset, the OBITS.VOTING token, in the amount of OBITS supply shown in the snapshot. *On September 5th, every OBITS token holder received an incoming payment of OBITS.VOTING tokens, matching the number of OBITS they own. In the memo field, you will find the conditions of the voting procedure. On October 1st, the OBITS holders community made its decision on the Market Maker Buyback Proposal. Please learn more about the OBITS Buyback Proposal and the details here. Option 1 is the winner, which means the OBITS owners voted for the proposal. Thanks for your active participation! The new procedure will be implemented for the upcoming buyback for September and will take place in the next few days. * The automatic script will gather the daily price feed on each asset involved in buyback and calculate the median value. 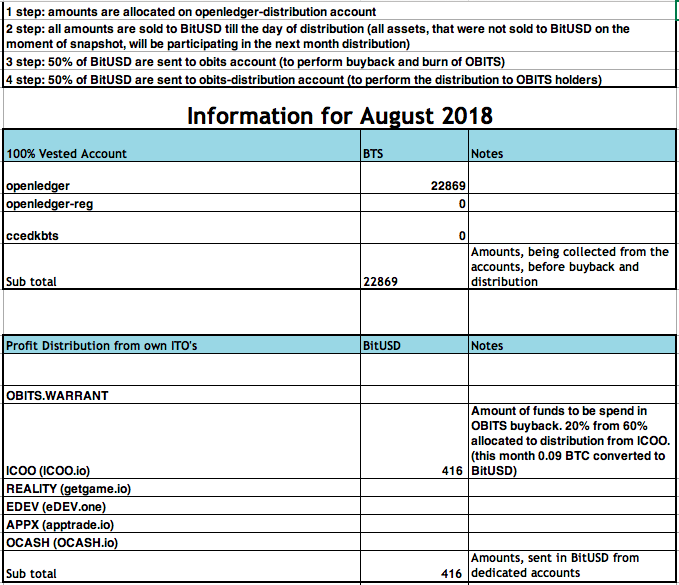 * The above-mentioned data will be collected from the main BitShares markets (ASSET_BTS, ASSET_BITUSD, ASSET_BICNY, ASSET_OPEN.BTC, etc.). * If there is no relevant price feed from those markets on OL, the price feed will be taken from coinsmarketcap.com. * If there is no relevant price feed from coinsmarketcap.com, the order for the dedicated market will not be placed, and the collected amount of ASSET will be held until the next month distribution. The apps were released to make your OL DEX experience even more convenient and scalable. Send, deposit or withdraw your funds in a couple of taps. Cancel open orders if necessary. Browse through your funds and assets balance. See the history of your latest transactions on a separate screen. Change your app’s language, choose your preferable account unit, manage your PIN, or change other app settings to your liking. English, Russian and Chinese are now available in the app! More languages will appear soon. Assets tracking and monitoring, additional languages, favorite accounts and other features will be added soon to improve your experience with OpenLedger mobile wallet. 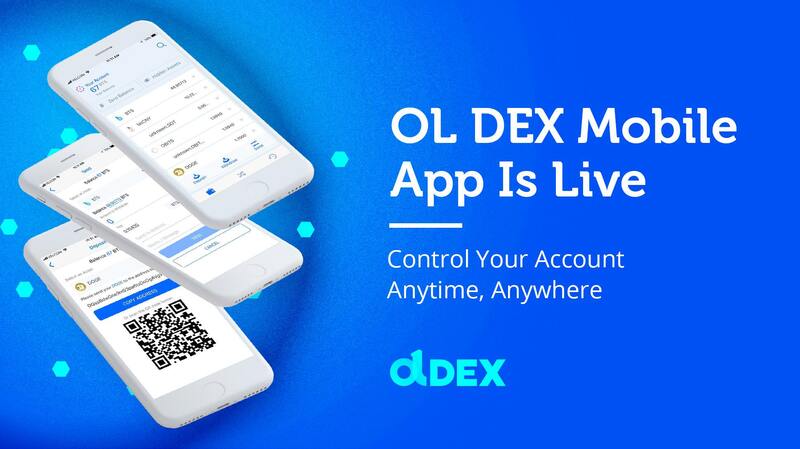 Have any questions about the OL DEX mobile apps? Would like to share your feedback? Feel free to let us know at openledger.freshdesk.com. October has already begun, and it means that the OpenLedger team will arrive in Barcelona in less than two weeks to participate in a three-day event with focus on blockchain and the crypto economy.